Pinarello, the Italian cycling company dating back to the early 1950s, confirmed reports that the brand is looking to sell. Other reports from Cycling News indicate the tri, road and cyclo brand is being considered for purchase by LVMH Moët Hennessy Louis Vuitton SE (LVMH) — the parent company to luxury brands Louis Vuitton, Fendi, Dior and others. LVMH also umbrellas Wine & Spirits, Perfumes & Cosmetics, Watches & Jewelry and Selective retailing divisions. If you recognize the name, it’s because only months ago in July 2016, G-III Apparel Group acquired Donna Karan International — the parent of the Donna Karan and DKNY brands — from LVMH. The enterprise value of the transaction was marked at $650 million, subject to customary adjustments at closing. The departure into cycling may sound out of the ordinary for LVMH, but the company was purportedly intrigued by Pinarello due to its equipment endorsement contract with Team Sky — the British pro cycling team that competes in the UCI World Tour. 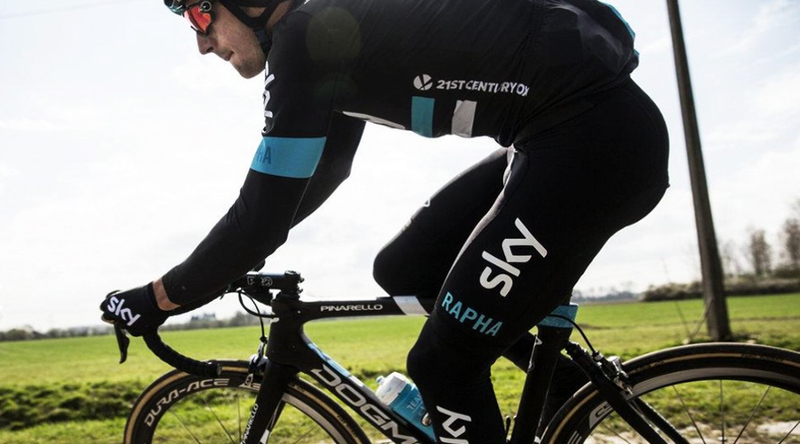 Pinarello has provided Team Sky with race-winning bikes ever since their WorldTour debut in 2010.